MTV World Stage is back in Malaysia on July 24 @ i-City! Last year MTV World Stage we have Wonder Girls Perform live at Sunway Lagoon Outdoor Surf Beach. This year MTV World Stage is back with 2 line up revelaved! 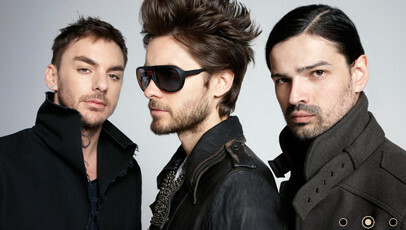 30 seconds to Mars and Pop Shuvit. Who else would they be? Music fans have reason to celebrate as MTV World Stage returns to Malaysia again this July 24 at a new venue, i-City Shah Alam. In line with its last two editions here the event will once again be an outdoor concert featuring live performances by popular international, regional and local artists. America's alternative rock band Neon Trees and Korean phenomena Beast were announced as the latest and final line up to the highly anticipated live concert event. The first confirmed international act is none other than US rock band Thirty Seconds to Mars, while Pop Shuvit is just one of the big local names set to take the stage that night. Like their name, Neon Trees are a combination of slick pop hoops and sturdy organic rock whose sound is themed with adolescent angst, longing, love lost and found, reminiscing the music of the ‘60s garage rock scene all the way to today’s dance rock anthems. Their Mercury records debut, ‘Habits,’ produced by Tim Pagnotta spurred the band to critical acclaim with their lead single ‘Animal,’ climbing to #13 on the Billboard Hot 100, #1 on the Alternative Chart as well as #2 on the rock chart. The album was certified Platinum in the US and Gold in Australia, & ranked #1 on Heatseekers Billboard Chart. In June 2010, Neon Trees’s exciting performance on Billboard.com Mashup Monday of the pop hit “Baby” and an acoustic cover of “Animal” garnered over 2.9 million video views. The band was also featured on Rolling Stones.com as Artist of the Week in July 2010 and the global MTV Push platform in January 2011. Promoting their catalyst of hook-happy new wave and classic rock sound, Neon Trees has toured as the opening act for Thirty Seconds To Mars in the Spring of 2010 during their ‘Into The Wild Tour,’ headlined the Summer 2010 Bang The Gong Tour and performed at Lollapalooza 2010 and Coachella 2011. Currently embarking on The Surrender Tour, Neon Trees arm themselves with an arsenal of bright crunchy riffs, charismatic lyrics and timeless rock energy reflecting out the band’s signature sound that blazes the future of Neon Trees. Beast has established themselves as one of the top acts in the K-pop world since their debut in 2009. The popular boy band from South Korea under CUBE Entertainment consists of 6 members: Yoon Du Jun, Jang Hyun Seung, Yong Jun Hyung, Yang Yo Seob, Lee Gi Kwang, Son Dong Woon. Originally known as B2ST (Boys to Search for Top), the group’s name was changed to BEAST (Boys of East Standing Tall), a couple of days before they debuted. On October 14, 2009, they released their first mini-album ‘Beast Is The B2ST’ on the same day they also held a showcase performance on MTV. Their EP ‘Shock Of The New Era’, was certified Gold in Asia and follow-up EPs ‘Mastermind’ and ‘Light Goes on Again’ continued to dominate the charts with hit songs ‘Soom’ & ‘Beautiful’. The boy band’s first solo concert in December 2010 “Welcome to Beast Airline” was sold out and received explosive reactions from media and fans who flew in from the region. With this success, a second concert “Welcome Back to Beast Airline” was held this year. Beast also received the Newcomer Award at the 19th Seoul Music Awards in 2010. Before their debut, the group was featured in a MTV documentary titled MTVnB2ST, which showcased their journey leading up to their debut. Beast recently launched their first full album in May 2011, ‘Fiction And Fact’, with hit single “Fiction”, dominating the charts at #1 on M! Countdown, KBS Music Bank and SBS Inkigayo. 2011 also marked the band’s successful launch into Japan, with their first Japanese single “Shock” debuting at #2, the highest ranking single by a non-Japanese artist. As a new band, the group’s popularity has quickly gained recognition and surpassed other boy bands in their unstoppable run to the top. In conjunction with MTV World Stage Live in Malaysia 2011, MTV will be holding a series of road-shows in July hosted by non-other than VJ Utt and VJ Holly of MTV. These road-shows include on-ground games that offer music fans a chance to win exclusive World Stage passes and enjoy band performances. MTV kicks off the first road-show at e@Curve (Formerly Cineleisure Mutiara Damansar), Mutiara Damansara in Kuala Lumpur on 9 and 10 July between 1pm and 6pm. World Stage fans stand a chance to win passes to MTV World Stage Live In Malaysia 2011 by participating in on-ground games at the road-show. Sponsors, i-City, Xpax, MasterCard, Twisties and road-show partner M&M will be setting up booths at the road-show where they will be offering World Stage related promotions. 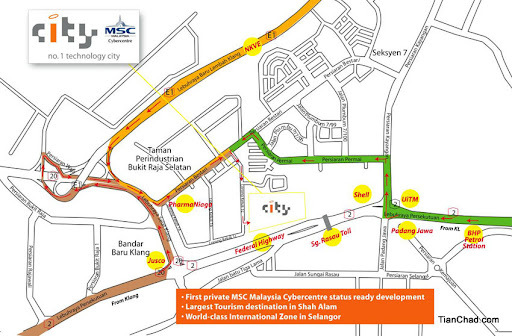 Get a sneak preview of World Stage Live in Malaysia 2011 new event venue at i-Walk at i-City, Shah Alam on the 16 July between 6pm to 10pm. Gear up for the live concert on the 24th July by watching a recap of World Stage Live in Malaysia 2009 and 2010 that will be screened during the road-show and grab your chance to win exclusive World Stage passes by taking part in on-ground MTV and i-City games. MTV VJ Utt and VJ Holly will be present at both road-shows to give away limited World Stage passes to catch Thirty Seconds To Mars, Neon Trees, Beast and Pop Shuvit at MTV World Stage Live In Malaysia 2011. MTV World Stage Live In Malaysia 2011 will be staged in front of a live audience of 15,000 fans. 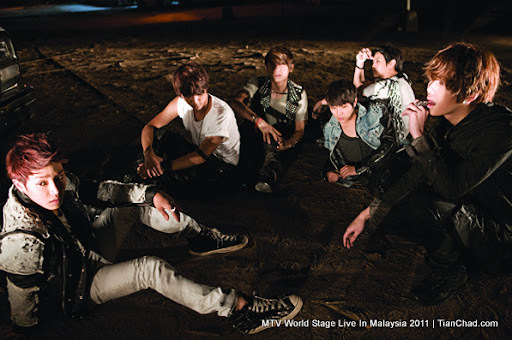 The 2-hour on-air version of MTV World Stage Live In Malaysia 2011 will premiere on Monday, 8 August at midnight (Malaysia Time) exclusively on MTV SEA (Astro Channel 713). An hour-long version of MTV World Stage Live in Malaysia 2011 will also be broadcast globally in 154 countries reaching over 550 million households later in the year. The event is supported by official broadcast partner, Astro and official media partners, ERA fm, hitz.fm, hot, MiNT and Time Out KL. Tickets are once again on a money-can't-buy basis, so log on to MTV website from now until midnight on July 6 and answer a few simple questions to stand a chance to win passes. Winners will be notified immediately. There are still more acts to be announced, so watch this space for updates. 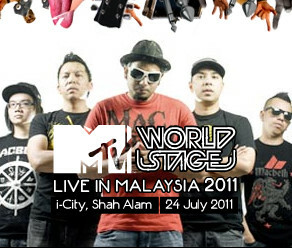 Click HERE to know how to win passes to MTV World Stage Live in Malaysia 2011! MTV World Stage Live In Malaysia 2011 is a rain-or-shine event. Bring a raincoat or a cap, sun block lotion and sunglasses if needed. There will be security checks at the door and no bags are allowed in the venue. We're expecting 15, 000 people so if you want the best view possible, come early! Also note that pass holder who is 15 years old or below is to be accompanied by an adult (aged 21 years old or above) who must also have a pass to the event. 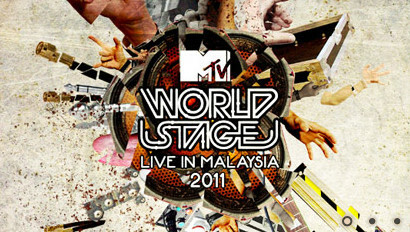 MTV World Stage Live In Malaysia 2011 is a free standing event. Dress comfortably with safety in mind. Wear comfortable clothes with ample ventilation and non-slip, covered shoes. Bring earplugs if you wish to protect your ears. Alcoholic drinks, and outside food and drinks are not allowed in the venue, so have a hearty meal before you head to the event. Drink lots and lots of water! More lineuup will be announced here so stay tuned at this page! If I able to get extra passes, I will definitely do a giveaway and see you guys at MTV World Stage 2011!! Click HERE to know how to win passes to MTV World Stage Live in Malaysia 2011!